This book will change your life for the better. Its foundation is a theory of human behavior that has been validated in hundreds of empirical studies. It shows that our behavior as adults links to how we learned to be emotionally safe as a child. The problem is that sometimes those early strategies for coping as a child don’t work in the environment we face as adults. Hence, face plants. While the theory is convincing and well-explained, the power of the book for me is understanding the 6 Core Competencies an adult needs to master to avoid the face plants that plague us all. I found the short self-tests with each of the competencies to be spot on for the areas I need to work on. There is good advice for how to improve in each of the competencies and a unselfish pointers to other books to delve further into any competency area where more work is needed. I am getting so much out of this book that I bought another for a family member who wants to work on her chronic anxiety. I only wish it had been written years earlier. Most of us have wondered why we end up in some situation over and over again. We didn't want this to happen! We've even told ourselves something like, "I'll change … I'll never do that again," … although, eventually, after repeating the same mistake, we are left back at square one with no answers. I count myself among "most of us." When I realized I needed to manage my life and relationships more effectively, I put years of effort into changing the way I interacted, both with myself and with other people. Frustratingly, I still kept finding myself 'stuck' in repeating the same old self-defeating behaviors. As a person I was confused and I would tell myself, "I'll do it differently next time," but when next time came, I'd fall back into doing the very same thing I told myself I wouldn't do again. Sometimes, I'd make a big change. Then, years later, I'd see that I was still doing something similar. Not quite as disastrous, perhaps, but the basic problem was still not fixed. What was worse, however, was my realization that my profession was helping others, yet I couldn't effectively help myself. I'm not one to stand behind my degree, so I knew that I wasn't helping people as much as I could be. The truth is, you can't fix in others what you can't fix in yourself. As a scientist, I recognized I needed to find the exact mechanism that was holding me back. Doing so would lead to a new level of mental freedom, more fulfilling relationships and creation of the life I'd been working so hard to make for myself. Why do we act the way that we do? Why can't we act differently when we want to be different? Based on the answer to question 2, is there way to help myself and others change the way that we act? No More Faceplants teaches you what I and about 3,500 other research psychologists have found out about those 3 questions. 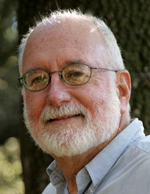 The answer is, quite possibly, the best kept secret in the field of Psychology. Section I. Manage Your relationships to Manage Your life. 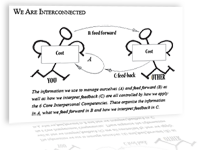 This section focuses on your relationship with yourself and how that creates your relationships with others You manage your relationships with a specific Attachment Strategy. Chapter 1 reveals how to recognize faceplants in the making, gives examples and teaches you are not alone, everyone faceplants. Chapters 2 & 3 explain the importance of recognizing you have a relationship with yourself and the profound effect this relationship has on your life. I ask you take a few steps back and look at the patterns in your relationships, especially your relationship with yourself. This relationship is based on mostly buried and half-forgotten memories of past relationships, but drives your current relationships. Chapters 4 through 7 discuss how we all seek emotional safety in our relationships through specific strategies. Because the brain is at times lazy, crazy, or idiosyncratic in how it tracks memories, the manner in which you seek emotional safety, your strategy, inadvertently creates opportunities for faceplants. Chapter 8 introduces you to the six attachment strategies: Anxious, Mixed Anxious, Mixed, Mixed Avoidant, Avoidant, and Secure. How you try to stay emotionally safe is actually a genetically-animated strategy that scientists have researched extensively and labeled as attachment strategy. Chapter 9 has four simple tests to help you determine your attachment strategy, followed by eighteen summary charts to help you understand the behavioral traits that characterize each strategy. Chapters 10, 11, 12 & 13 tell you specifically how your attachment strategy does or does not create faceplants. The chapters introduce the steps you take to No More Faceplants. The How-to Section of the Book. Scientists studied people with Secure attachment strategies as well as Insecure attachment strategies. They found that people with Secure strategies differ from those with Insecure strategies in very specific and learnable relationship skills sets. The skills sets are being Sensitive, Expressive and Managing conflicts productively when relating to themselves and others. 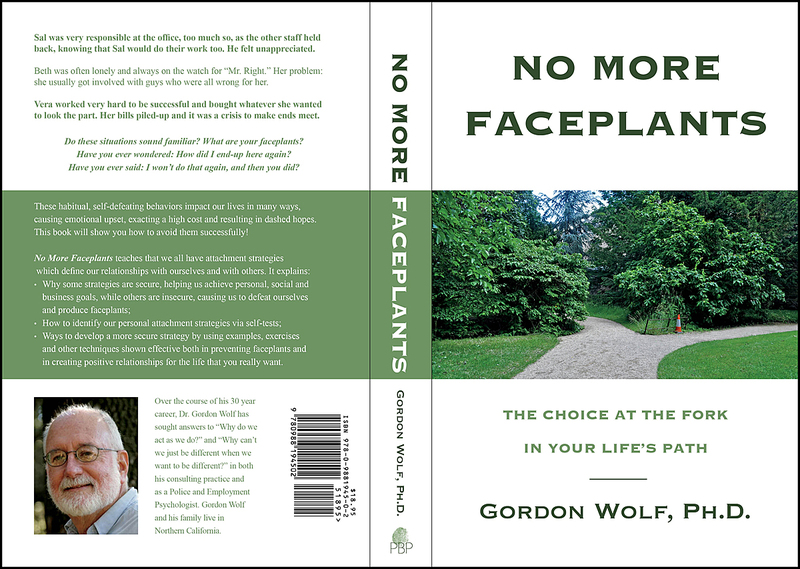 In this section of No More Faceplants, I describe these skills sets in terms of everyday behavior and vignettes, and give you a series of behavioral recipes and exercises to practice. I broke down the 3 skills sets into what I call the 6 Core Interpersonal Competencies. Chapters 14 through 24 provide step-by-step guidance on developing the 6 Core Interpersonal Competencies, with tests to help you understand where you are now in relation to each, and a chart that explains the competencies' importance and how they each help you create no more faceplants. Lots of examples and exercises will teach you exactly how to manage your attachment strategy and stop creating faceplants. Develop these competencies and you will create emotional safety, develop peace of mind and attain the life you have always wanted and have been working so hard to get. 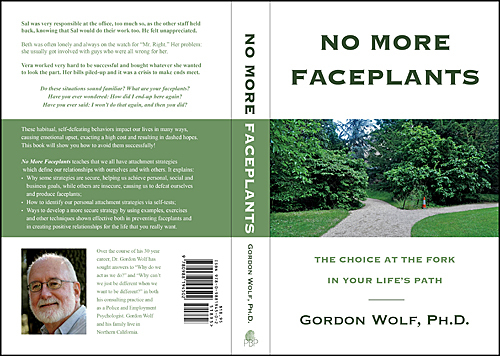 "No More Faceplants is a wise, savvy, compassionate book for people ready to do the work of change. Gordon Wolf is there to help you, and he does it with no judgment and no nonsense. Fair warning: You might feel, as you read, as though someone is peeking directly into your soul."